In large bowl, beat butter, granulated sugar and brown sugar with electric mixer on medium speed about 1 minute or until fluffy; scrape side of bowl. Beat in dry pudding mix. Beat in eggs, one at a time, just until smooth. Beat in vanilla. On low speed, gradually beat flour mixture into butter mixture until well blended. Stir in chocolate candies and white chips until blended. Drop dough by rounded tablespoonfuls about 2 inches apart onto ungreased cookie sheets. 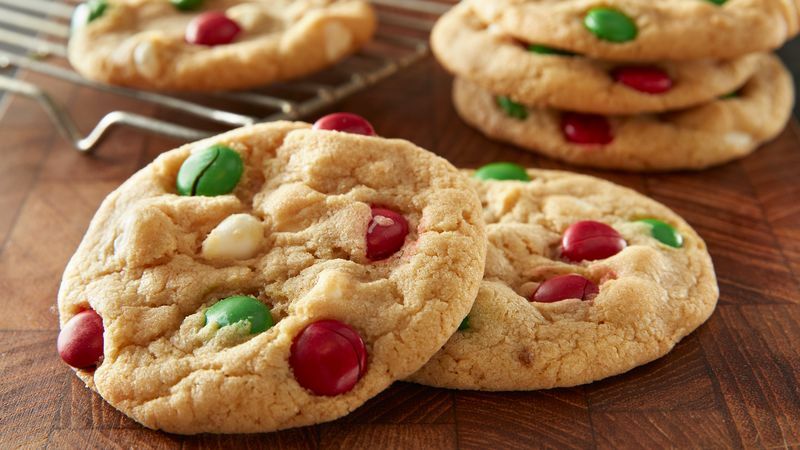 Customize this cookie for any holiday by using other colors of the candies.